Where: Public Works facility, 1502 Holland Rd. 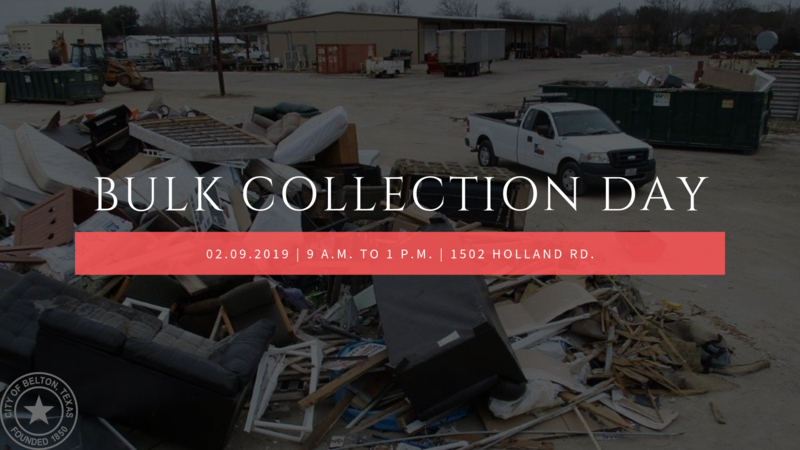 Bulk Collection Day is for residents to dispose of large items that are not accepted as part of the weekly trash service. Each household is permitted to bring a single load to the Public Works Yard for disposal. Bulk Collection Days occur bimonthly. --Appliances with refrigerants must be green tagged (a green tag designates that refrigerants are removed).